Flicking through numerous pages of instructions and becoming increasingly frustrated as you try to build your furniture could become a thing of the past. 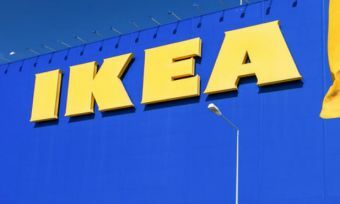 That’s because scientists from the Nanyang Technological University in Singapore (NTU Singapore) have developed a robot that can autonomously assemble an IKEA chair without interruption. Designed by Assistant Professor Pham Quang Cuong and his team, the robot uses a 3D camera and two robotic arms with grippers to pick up objects. It assembled the IKEA Stefan chair in just 8 minutes and 55 seconds, after longer, previous attempts. The robot is designed to mimic the genericity of the human ‘hardware’ used to assemble objects – the ‘eyes’ through a 3D camera and the ‘arms’ through industrial robotic arms that are capable of six-axis motion. The robot starts the assembly process by taking photos of the parts laid out on the floor. This replicates the cluttered environment after humans unbox and prepare to put together a build-it-yourself chair. The challenge with this was determining a sufficiently precise “localisation” in a cluttered environment quickly and reliably. The force sensors, found on the wrists of the robot, then determine how strongly the ‘fingers’ should grip and how powerfully to push objects into contact with each other. The amount of force applied has to be regulated, which is challenging due to industrial robots primarily being designed to be precise at positioning and not at regulating forces, Asst Prof Pham explained. “For a robot, putting together an IKEA chair with such precision is more complex than it looks,” Asst Prof Pham said. “The job of assembly, which may come naturally to humans, has to be broken down into different steps, such as identifying where the different chair parts are, the force required to grip the parts, and making sure the robotic arms move without colliding into each other. “Through considerable engineering effort, we developed algorithms that will enable the robot to take the necessary steps to assemble the chair on its own. Now that the team has achieved its goal of demonstrating the assembly of an IKEA chair, they are working with other companies to apply the same form of robotics to a range of industries. The robot is now being used to explore “dexterous manipulation” and as a result, allowing the robot to become more human-like in its manipulation of objects. The team is working to customise the robot to do glass bonding, that could be useful in the automotive industry, as well as drilling holes in metal components for the aircraft manufacturing industry. The cost of the project is not expected to be an issue as all the components in the robotic setup can be bought off the shelf.